A week ago, I finished the second draft of Tarot Inspired Life. It took me a year to do, and I added 40,000 extra words. This is my first full length title of any words. I was so shocked that it was done that I wasn’t sure how to be excited. I sat there, my heart pounding in my chest, as I waited for confetti, wooing or some-other sort of fanfare to hit. Nothing did. This week, I sent out my BETA kit package to the small, crack team of BETA READERS. I’m excited but also nervous. I’m giving them 4 months to read through, edit, give advice, and tell me what they think. 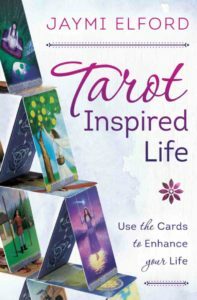 It’s a great mix of readers from new tarot peeps to industry knowledgeable peeps that I admire. Since sending the package out, I’ve worried and fretted. It’s the only step but… I’m sort of not sure what to do now. Do I cheat on the book and start a new project? Or do I wait “patiently” for their feedback? In the meantime, I figure I can finish the reviews stacked up by my desk and complete some classes I’ve enrolled myself in. Here’s hoping my readers don’t delay and hand in feedback sooner than later.